Deciding how to reach and respond to your customers is an integral part of any business plan and a decision that can have far reaching consequences on your sales and revenue. To make the right choice, it is important to understand the three main types of direct sales channels (i.e. not online, .com or digital sales and the pros and cons of each option. There are three ways in which a business can reach their customers – via a direct or in-house sales channel, through an indirect or intermediary source like a partner or distributor, or via a blended option which often involves an in-house team dealing with a specific product and/or customer segment while the indirect channel may work with a different set of for example products or market segments. In some cases, the channels will look after different steps in the sales process. e.g. lead generation, pre or technical sales. 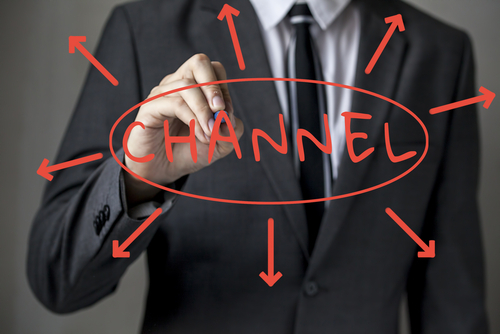 Direct Channels: The direct channel involves a business building and managing a dedicated sales force to manage their customer relationship. This team is responsible for nurturing clients and moving them through the seven common steps of the sales process. A direct sales option can give a business more control over all interactions with prospective and existing customers. The downside is that this option can be labour intensive and require many hours of training, monitoring and management to ensure your sales team are not losing potential sales and if they are, figuring out which of the many aspects for example the teams competency (skill, knowledge, experience) or step of the process is causing this. Indirect Channels: Indirect channels can seem like the perfect option for businesses who wish to focus on the creation and delivery of their product or service. Many companies believe their work is done once they have sent the product or details of the service to their chosen partner or distributor. Sadly, this is not the case and businesses that choose indirect channels must understand they still need to appreciate their customers’ expectations, the complete buying cycle, provide training and information on their product and create a strong value proposition for the third party to work with as well as ongoing management and support. Businesses must also consider the partner from several different perspectives: cultural fit, available resources and alignment of business goals. 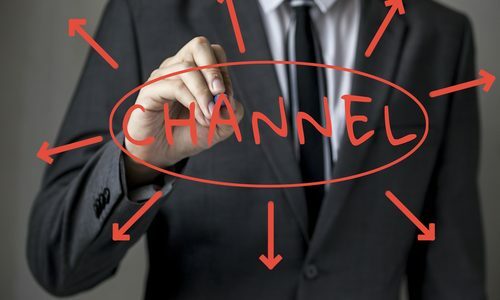 Many indirect channel options have a portfolio of products and are not necessarily motivated to drive sales for your business alone. Large organisations and multinational companies often opt for blended channels to provide more flexibility and garner appropriate expertise. This can be achieved in a number of different ways. Larger enterprise customers might be kept for an in-house team whilst the mid-market customers, smaller businesses, and individuals are managed by a network of indirect options such as online marketplaces or distributors (consider Microsoft). In some situations, a business may decide to manage their own local markets and leave their overseas markets to indirect channels that have experience of selling to foreign markets. Regardless of the channel you choose to get your products in the hands of customers, it is imperative that you assess your market, the buyers behaviour, understand the sales cycle of your product and choose an option that supports your sales strategy. If done thoroughly, it will become crystal clear which parts of the sales cycle you are happy to hand over (or keep in house), how much time you have available to manage a direct or indirect channel option and how much you are willing to pay for allowing a third party to take some of the work off your hands. Reflecting on past experiences of your business’ sales processes and achievements can help you to identify any potential pitfalls and identify the right partners for your offering and how to manage and support the work you need them to take on for you. If you’re working with a small team or you’re unsure where to start searching for a mentor, it can be helpful to engage an external representative or sales resource to assist you. The team at The Sales Desk work with a large number of businesses across a broad range of industries can help match you to a mentor or give advice on where and how to find the right advice, right now. This article is based on a joint presentation with Business Backstage.